I kicked off the trip with a finish. 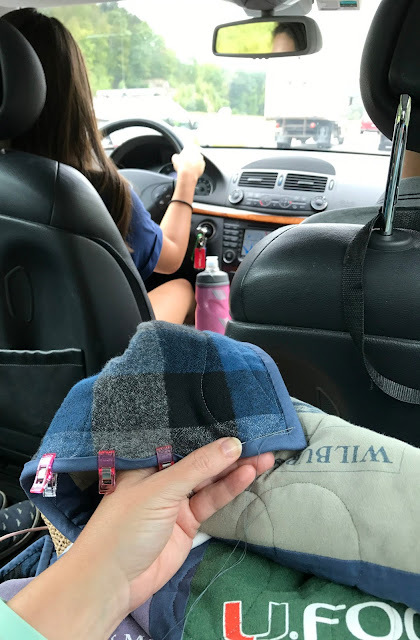 It was sooo hot to be sitting with this snuggly flannel backed quilt in my lap but I love tacking bindings in the car. 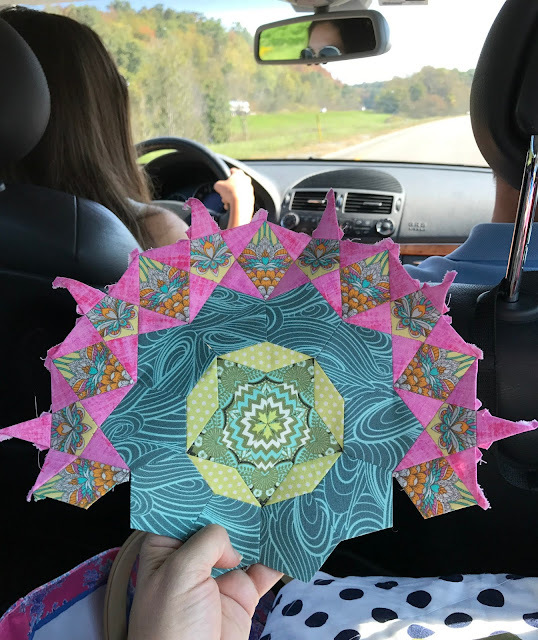 From there I moved on to my La Passacaglia and finished up this rosette. I searched long and hard for the perfect cotton candy pink to make this one pop. I thought I'd finished this one on our last road trip to Maine but I decided I didn't like the fabric I'd used on outer diamonds so I swapped it for this one. Much better! And I made another hexagon ring - or would have if I hadn't forgotten the last piece;-) I didn't get as much of this prepped as I'd hoped before we left. I've really been struggling with fabric choices for my remaining rosettes but I'm hoping if I just keep chipping away at it the pieces will fall into place. With many miles left to go I pulled out my backup project and finally started hand quilting my Blue Plate Special. I love how fast big stitch quilting goes - I was able to quilt around 4 of the Dresdens before it got dark. It will be a long time before I get back in the car for more than I quick trip around town but I'm thrilled with how much I accomplished. What's your go to road trip distraction? 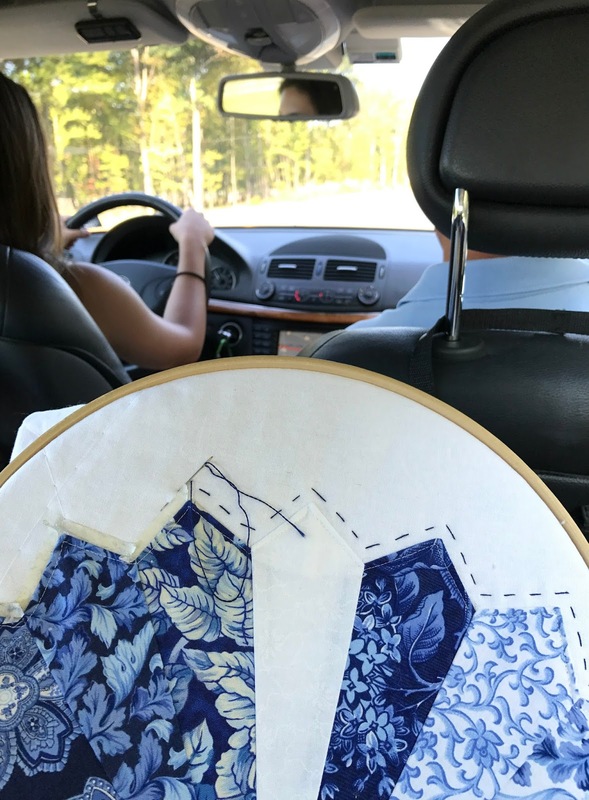 I'm pretty impressed that you can sit back there and calmly stitch away while the new driver is logging her miles. I wasn't very good at that when my two were learning to drive. Haha. You got alot done! 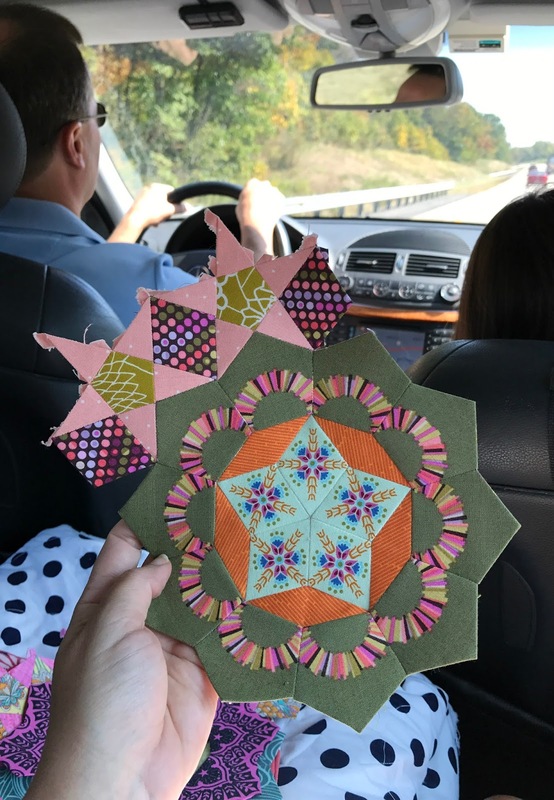 I love those La Passacaglia blocks! 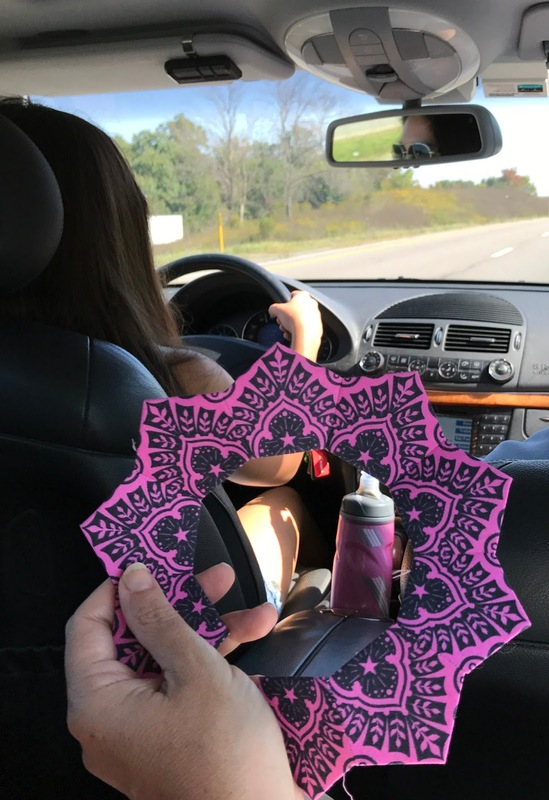 That pink is perfect!